Electromagnetic energy travels in waves and spans a broad spectrum from very long radio waves to very short gamma rays. The human eye can only detect only a small portion of this spectrum called visible light. A radio detects a different portion of the spectrum, and an x-ray machine uses yet another portion. NASA's scientific instruments use the full range of the electromagnetic spectrum to study the Earth, the solar system, and the universe beyond. When you tune your radio, watch TV, send a text message, or pop popcorn in a microwave oven, you are using electromagnetic energy. You depend on this energy every hour of every day. Without it, the world you know could not exist. Our Sun is a source of energy across the full spectrum, and its electromagnetic radiation bombards our atmosphere constantly. However, the Earth's atmosphere protects us from exposure to a range of higher energy waves that can be harmful to life. Gamma rays, x-rays, and some ultraviolet waves are "ionizing," meaning these waves have such a high energy that they can knock electrons out of atoms. Exposure to these high-energy waves can alter atoms and molecules and cause damage to cells in organic matter. These changes to cells can sometimes be helpful, as when radiation is used to kill cancer cells, and other times not, as when we get sunburned. Seeing Beyond our Atmosphere - NASAspacecraft, such as RHESSI, provide scientistswith a unique vantage point, helping them"see" at higher-energy wavelengths that areblocked by the Earth's protective atmosphere. 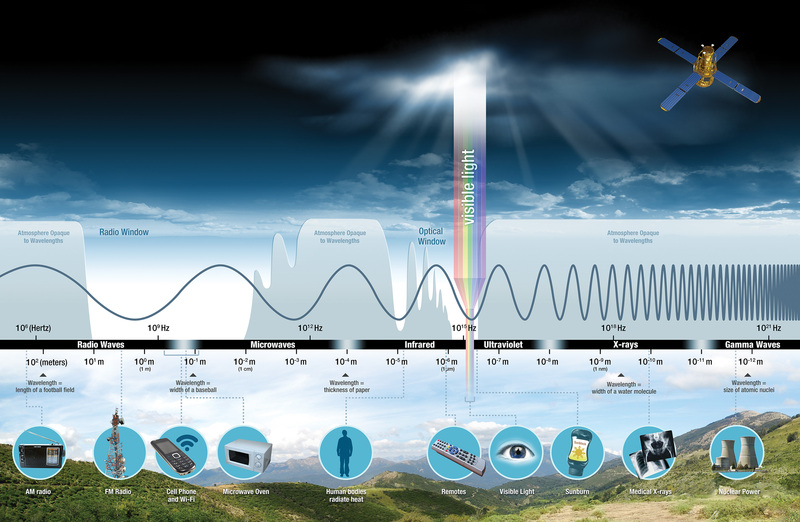 Electromagnetic radiation is reflected or absorbed mainly by several gases in the Earth's atmosphere, among the most important being water vapor, carbon dioxide, and ozone. Some radiation, such as visible light, largely passes (is transmitted) through the atmosphere. These regions of the spectrum with wavelengths that can pass through the atmosphere are referred to as "atmospheric windows." Some microwaves can even pass through clouds, which make them the best wavelength for transmitting satellite communication signals. While our atmosphere is essential to protecting life on Earth and keeping the planet habitable, it is not very helpful when it comes to studying sources of high-energy radiation in space. 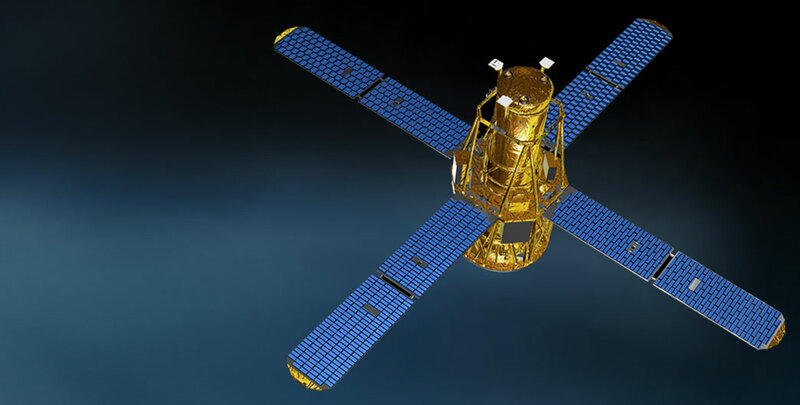 Instruments have to be positioned above Earth's energy-absorbing atmosphere to "see" higher energy and even some lower energy light sources such as quasars.